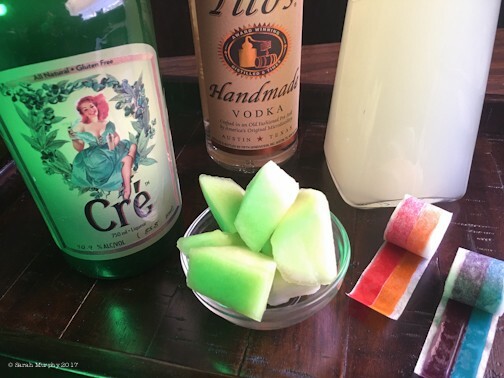 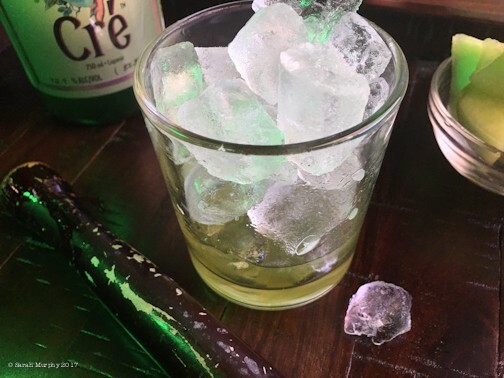 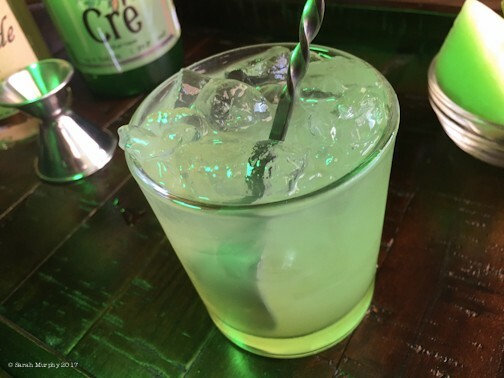 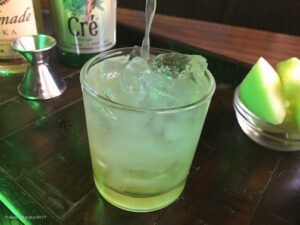 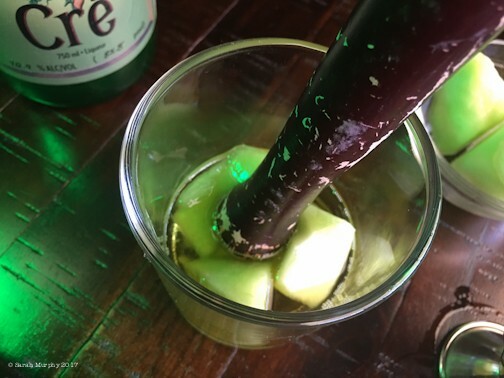 Add 3-4 cubes honeydew melon to a glass and cover with 1 oz Cré. 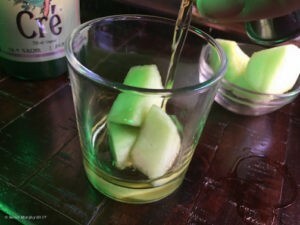 Muddle (press and twist to release melon juice). 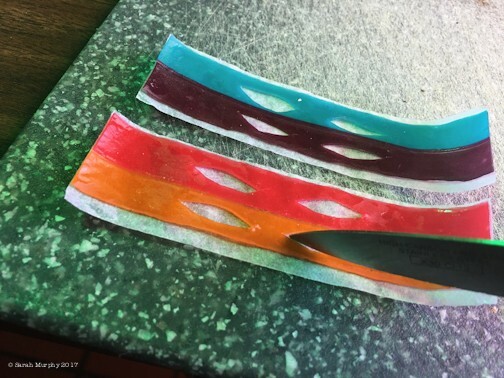 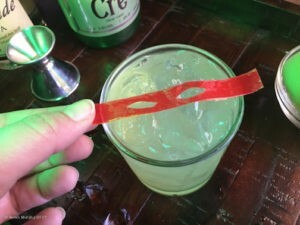 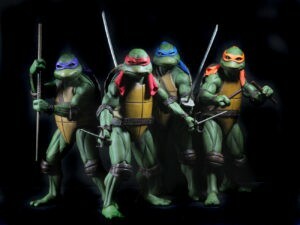 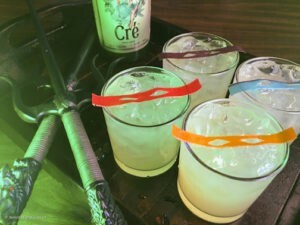 Cut fruit strips to resemble Teenage Mutant Ninja Turtle mask. 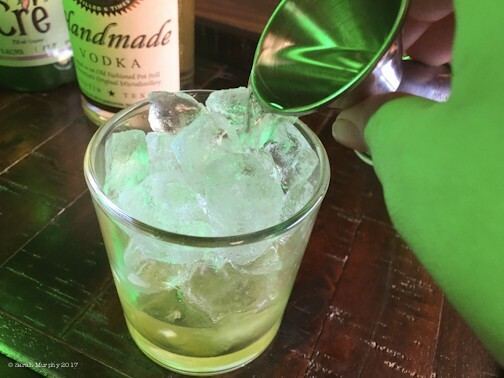 Cheers … and Happy Halloween!